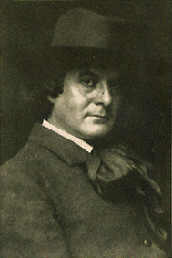 Elbert Hubbard was a renouned philosopher, author, editor and lecturer of the late nineteenth and early twentieth centuries. In 1895, he founded the Roycrofters, a semi-communal community of artists and craftspeople, in East Aurora, NY. He and his wife were lost at sea, May 7, 1915, while travelling to England aboard the ill-fated Lusitania. It took thrift and savings, together with tremendous character and vision, to make our nation what it is today. And it will take thrift and savings, together with constant ingenuity and stamina, to conserve our remaining resources to enable us to continue to be a great nation. Thrift is that habit of character that prompts one to work for what he gets, to earn what is paid him; to invest a part of his earnings; to spend wisely and well; to save, but not to hoard. More people should learn to tell their dollars where to go instead of asking them where they went. Debt is the secret foe of thrift, as vice and idleness are its open foes. The debt-habit is the twin brother of poverty. Thrift and prosperity have gone hand in hand since Abraham's flocks grew and multiplied. Thrift is not, as many suppose, a self repression. It is self expression, the demonstration of a will and ability to raise one's self to higher plane of living. No depression was ever caused by people having too much money in reserve. No human being ever became a social drifter through the practice of sensible thrift. T HRIFT IS A HABIT. A habit is a thing you do unconsciously or automatically, without thought. We are ruled by our habits. When habits are young they are like lion-cubs, soft, fluffy, funny, frolicsome little animals. They grow day by day. Eventually they rule you. Choose this day the habit you would have to rule over you. The habit of thrift is simply the habit which dictates that you shall earn more than you spend. In other words, thrift is the habit that provides that you shall spend less than you earn. Take your choice. If you are a thrifty person you are happy. When you are earning more than you spend, when you produce more than you consume, your life is a success, and you are filled with courage, animation, ambition, good-will. The the world is beautiful, for the world is your view of the world, and when you are right with yourself, all's right with the world. The habit of thrift proves your power to rule your own psychic self. You are the captain of your soul. You are able to take care of yourself, and then out of the excess of your strength you produce a surplus. Thus you are not only able to take care of yourself, but you are able to take care of some one else—of wife, child, father and mother, to lend a hand to sick people, old people, unfortunate people. This is to live. The man who can not earn a living for himself is something less than a man. The man who can barely get a living and no more is a little better than a barbarian or a savage. "All wealth comes from labor applied to land," said Adam Smith, who wrote a wonderful book on the subject of thrift. This book, The Wealth of Nations, was published in the same year that American's Declaration of Independence was signed. Buckle calls it, "the greatest book ever written in its influence for good, save none." In this book is the statement, "All wealth comes from labor applied to land." Nowadays we say, "All wealth comes from intelligent labor applied to land." Let us say, "All wealth comes from loving labor applied to land." The successful labor is loving labor. Loving labor and thrift go hand in hand. He who is not thrifty is a slave to circumstance. Fate says, "Do this or starve," and if you have no surplus saved up you are the plaything of chance, the pawn of circumstance, the slave of some one's caprice, a leaf in a storm. The surplus gives you the power to dictate terms, but most of all it gives you an inward consciousness that you are sufficient unto yourself. Therefore, cultivate the habit of thrift, and the earlier you begin, the better. And no matter how old you are, or how long you have lived, begin this day to save something, no matter how little, out of your earnings. Off the beaten track of travel there is a country school, the typical little red school house. The teacher is a hunchback. Once he wrote: "I know nothing about the science of education. I just love my children, and we study together and work together." And so, out to one side of the school, in summertime, there is a school-garden where every child has a little flower-bed or vegetable-garden of its own. The pupils plants the seeds he wishes to plant, digs it up sometimes to see how it is coming along, waters it, hoes it, watches it sprout through the surface, wooed with the kisses of the summer sun. He sees it grow and evolve into a beautiful plant, that produces a flower, perhaps at the top, and an edible beneath the surface. So last May in this garden the children were growing corn, potatoes, marigolds, sweet williams, violets, and through this working out of doors instead of playing games all of the time, the children were learning to economize time, to be saving of time, for time rightly used is the thing which, when it co-operates with love and labor, produces wealth and all the things necessary to life and well-being. But on a last trip to that little red schoolhouse, the teacher told of another innovation. It was this: A savings-bank account for each child in the school, a bank-book for each child who can deposit one cent or five cents. Here was a lesson in economics. And economics is simply the science of business, and business is the science of human service. Some day business is going to be regarded as the greatest science in the world, for it includes the science of making a living. And my little hunchback teacher recognizes this fact, so he is teaching his children the science of saving, and thrift will become, indeed, a habit with those children. The thrift habit is a sister to a good many other beautiful habits. Thrift implies industry, and of course thrift is economy, and economy means the care of things and their proper use. You do not waste anything that can be used. You save it, care for it, reserve it. In the country when we get more apples than we can store in the cellar, we peel them, slice them, dry them in the sun or in pans on the stove, and then the children string them with a thread and needle, and we hang them in a dry place in the garret where they can be used when we need them. Children in the country sometimes will preserve many pounds of apples this way and sell them, and buy clothing, or books, or a gramophone, or skates, or shoes. There is a factory in a country town where there are two hundred fifty employees, and every employee in that factory has a savings-bank account. Thus this factory is a school run on a principle somewhat like that of the little red schoolhouse, where the little hunchback teacher, with no children of his own, is yet the father and big brother to all of his pupils. Children should early be taught the savings-bank habit. Such children will grow up—at least, most of them will—able, courageous, helpful, willing, and a few of them will evolve into strong and able people, leaders in any line of undertaking which they may select or which Fate may send. Thrifty people, other things considered, have good health. Thrift implies that you do not overeat, that you sleep at least eight hours, that you go to bed early and get up early. Benjamin Franklin was right: "Time is money." Time is surely money when it is rightly used. The habit of thrift tends to give clear eyes, good digestion, efficient muscles. People on moderate salaries have no business to patronize taxicabs. Leave that to elderly people who can not easily board the street-car; also leave it to the people who have pride plus and who wear clothes they are afraid will get soiled. Save a part of your income and begin now, for the man with a surplus controls circumstances and the man without a surplus is controlled by circumstances. I believe that thrift is essential to well-ordered living and that economy is a prime requisite of a sound financial structure, whether in government, business or personal affairs. I do not want anybody to convince my son that some one will guarantee him a living. I want him rather to realize that there is plenty of opportunity in this country for him to achieve success, but whether he wins or loses depends entirely on his own character, perseverance, thrift, intelligence and capacity for hard work. Young people, especially, should economize, always remembering that we should have everything we really need. It is folly to skimp in eating for the sake of saving, or to wear dowdy raiment. Have what you need, but do not buy things you do not need. But there is a joy in going without things—a fine tang eliminating the superfluous. Old Walt Whitman knew of this when he said: "Henceforth I Will complain no more. Done with indoor repinings, strong and content I will take to the open road." It's lovely to be able to walk, to run, to carry your own grip, to get along without flunkies, to eat moderately, sleep hard, breathe deeply, and look everybody in the eye with a look which says you can take care of yourself. In the beating of the heart there is a secondary movement. We call these two movements systole and diastole. Every worthy action has this secondary effect, which is also good. We know this secondary by the name of "survival value," and survival value is the thing that endures after the act itself is complete. There is a survival value in the habit of thrift. Besides the money you save, you are adding strength to your character, you are digging trenches, building fortifications, laying in ammunition, and providing yourself against any attack from enemies, such as poverty, disease, melancholy, distrust, jealousy, insanity. Ben Franklin is our greatest example of thrift. He wrote more on it and wrote better than any other man we know. He began practising thrift when he was twelve years of age, and he practised it and wrote on it all his life. He became the richest man in America in his day, richest not only in money but in health, brains, sanity, good-cheer, influence. He was a scientist, a businessman, a linguist, a diplomat and a philosopher. He always paid his way. He founded the University of Pennsylvania, founded the first public library in America, organized an insurance company, pretty nearly captured the lightnings, invented spectacles, manufactured the first cook-stove, went to France and borrowed money on which Washington fought the War of the Revolution; and the basis of all the strength and excellence of Benjamin Franklin lay in the fact that very early in life he acquired the habit of thrift. Shakespeare above all writers we know knew the value of thrift, not only thrift in the matter of money but in the matter of ideas, of working his thoughts up into good coin. He wrote out his thoughts, and thus got the habit of expressing them, and while he was a businessman and would not consider himself anything else, he yet lives for us as the greatest writer of all time. Thrift in thought will lead to the habit of writing, and any good man who writes a little every day will become a good writer. We grow by doing. Well did Shakespeare say, "Thrift, Horatio, thrift!" implying that the young man Horatio should acquire the habit of thrift first,and then all else in the way of good things would follow. The girl or boy who acquires the habit of thrift early in life will be a power for good in any community. Thrift! It is the basis of all the other virtues. To spend less than you earn—this way lies happiness. Thrift!